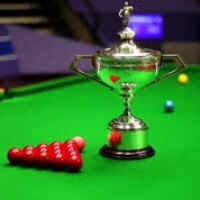 The Welsh Open snooker continues in #Cardiff with the final on Sunday 17th February. VIDEO: An excellent Steve Davis Trickshot Show from 23.10.2017 in Budapest, Hungary. Definitely not boring..
2015 Six Red World Champion Thepchaiya Un-Nooh had a deep run in the N Irish Open in Nov (an identical format to this) & he eliminated the No. 14 seeded Ryan Day in the first round..
SNOOKER UPDATE: It’s the tie of the round from 1pm at the Dafabet Masters as Judd Trump takes on Kyren Wilson. Who wins? We fancy Kyren to just edge it. SNOOKER MASTERS: Up tonight from 7pm it’s Barry Hawkins v Shaun Murphy. Should be a close one but we’re hoping Murphy can edge this for our outright bet. #SNOOKER BETTING: Our first round bet is up now against Ding Junhui now. C\’mon Jack Lisowski!